This Situation Update describes events occurring in Kyainseikgyi and Kawkareik townships, Dooplaya District, between November and December 2015. It covers land confiscation, violent abuse and forced labour. The Border Guard Force [BGF] confiscated villagers’ land at A--- village, Kawkareik Township and resold it to the Tatmadaw. On November 12th 2015, Saw B--- and Saw C--- who live in D--- village, were violently abused by Tatmadaw Camp Commander Mo Hein and Administration Officer Ya Za Pyo from Light Infantry Battalion #284. 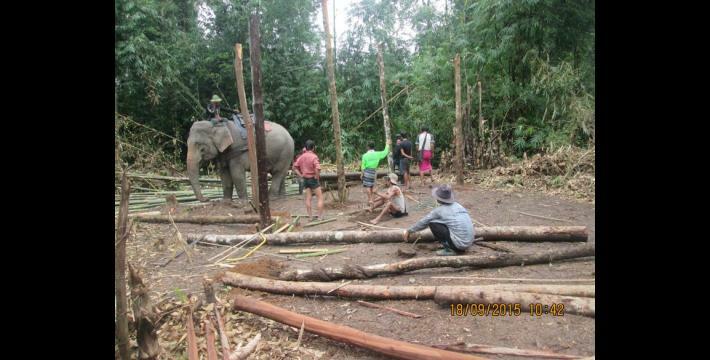 Community members reported that Officer Bo Chit from the Karen National Defence Organisation (KNDO) has not paid villagers who moved logs for him in September in order to build the KNDO camp. The following Situation Update was received by KHRG in March 2016. It was written by a community member in Dooplaya District who has been trained by KHRG to monitor human rights conditions. It is presented below translated exactly as originally written, save for minor edits for clarity and security. This report was received along with other information from Dooplaya District, including one other situation update, one interview, 103 photographs and two video clips. 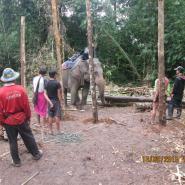 [The information] was collected from November to December 30th  in Noh T’Kaw [Kyainseikgyi] and [Kaw T’Ree/Kawkareik] townships. [It] includes Tatmadaw activity, Border Guard Force [BGF] activity, Democratic Karen Buddhist Army [DKBA] activity, Karen National Defence Organisation [KNDO] activity, [the] civilian situation, healthcare and education. 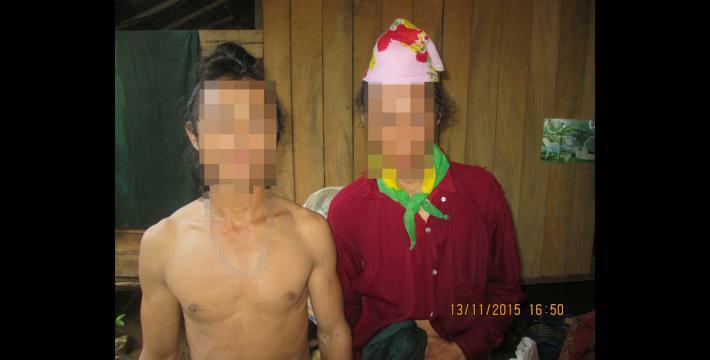 On November 12th 2015, in the evening at 8:15 pm, Tatmadaw went to drink alcohol in Kwee Ler Ter village, Noh T’Kaw Township. Saw B--- and Saw C--- were violently abused by them [Tatmadaw]. Saw B--- is 34 years old and Saw C--- is 32 years old. Their mother’s name is Naw E--- and [their] father’s name is Saw F---. At 8:15 pm a camp commander from LIB [Light Infantry Battalion] #284 and an administration officer went to drink alcohol in D--- village. When they came back on their way they saw Saw B--- and Saw C--- on their way to visit [their] mother. Mo Hein and Ya Za Pyo [from Tatmadaw] stopped them on the way. They picked up their gun and hit Saw B--- [on the] left [side of the] face with the gun barrel and also punched him three times. They split his cheek twice. They violently abused the two villagers without questioning them. 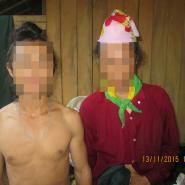 The Tatmadaw who violently abused villagers are Mo Hein, and he is Kwee Ler Ter permanent camp commander. The other one’s name is Ya Za Pyo and he is an administration officer. They all live together in the same camp. Between November and December  the BGF cooperated closely with Tatmadaw and took control [of] more areas in Kaw T’Ree [Kawkareik] Township. They confiscated the villagers’ land along [Thai-Burma/Myanmar] border at A--- [village] and sold the land to the Tatmadaw for [them to] build their houses. Burma/Myanmar government troops built a lot of houses and [other] buildings. On December 2nd 2015 a clash broke out between [Commander] San Aung and the Tatmadaw in Kaw Moo area. After the clash broke down the [DKBA] came back to Kaw K’Ree Township to collaborate with [the DKBA Commander] Pa Nyain [from Battalion #907], based on [the Thai-Burma/Myanmar] border at Per Kler [village]. [The numbers of] Pa Nyain’s [battalion] are increasing so they want to build two more checkpoints in Kyeh Hpa Leh and Htee Moo Kwee. They started assessment [of] the place on December 14th 2015. KNDO, KNU and Karen Peace Force [KPF] did not allow them to set up the [new] checkpoints. The DKBA said ‘we came back [to join our hands with you] [and] over 60 of us had agreed to everything that you had planned. But we want to [set up the checkpoints] for ourselves and if you do not allow us we will fight against every [armed] group we confront’. They built an army camp in Plaw Hpa Taw [village] and they permanently live there. Since the ceasefire has taken place the civilians get more opportunities to access freedom of movement, therefore they can earn more living for their livelihood. In terms of education, Burma/Myanmar government transferred [the KNU schools] in each area to Burma/Myanmar [government] schools, therefore the education situation is improving a little bit. Regarding healthcare, Burma/Myanmar government sent medicine and the number of health workers is increasing, so more villagers are able to depend on them [Burma/Myanmar government health workers]. Many villages which are located in local areas try to use herbal medicines. On February 2nd 2015 the KNDO built their camp in Meh Tha Raw Hkee [area] and [have been] active over there [until the reporting period]. 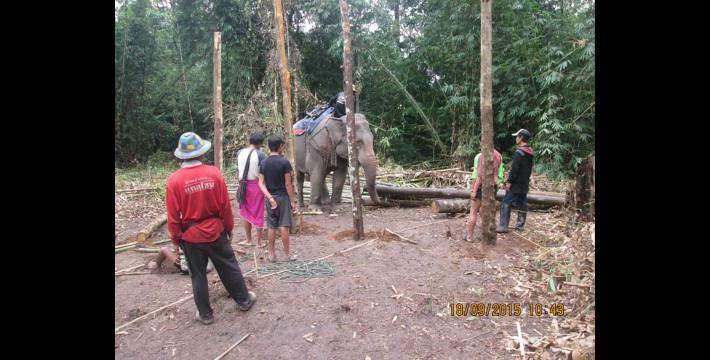 Officer Bo Chit built [the camp] over there, but the villagers and area responsible people [authorities] did not totally accept them [KNDO] because he [Officer Bo Chit] did not build fellowship with the area responsible people or the indigenous people there. He did everything that he thought [was] good for him and tried to collaborate with a Chinese rich businessman who could support him in terms of money. Later, everything that he did impacted the villagers and area responsible people. 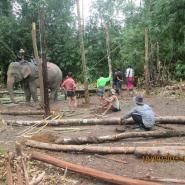 [In September he] asked villagers to move logs by elephant for him without paying them. [Regarding] his staff, he sometimes brought them to Myawaddy and Mae Sot towns [and took them] to brothel houses and paid fees for them. Some of them have family and [this] created arguments between their families. [Moreover], some of them violated [their families] and divorced their families. It made the human rights situation worse. Tatmadaw activity, BGF activity, DKBA activity, KNDO activity, the civilian situation, education and healthcare situations in Noh T’Kaw and Kaw T’Ree townships are revealed as above. Karen Peace Force (KPF) was formed in February 1997 after splitting from the KNU/KNLA and surrendering to and signing a ceasefire with the Burmese military government. Significant parts of the KPF merged with the Burmese military government into Tatmadaw Border Guard Force #1023 whilst others remained independent. The independent (non-Border Guard) KPF controls some administrative areas in addition to road and river checkpoints in the area of Three Pagodas Pass. Following repeated rejections of Burmese government proposals to reform KPF into the Tatmadaw Border Guard, substantial elements have since reformed in the Tatmadaw Border Guard in 2010 while others remain independent. Burma/Myanmar government schools are funded by the central government and teach a Burmese-based curriculum.